Partner – you are the husband, wife, defacto or civil union partner of a New Zealand citizen or resident. 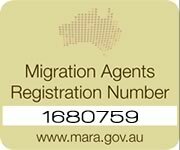 Dependent child – you are a dependent child with a parent who is a New Zealand citizen or resident. 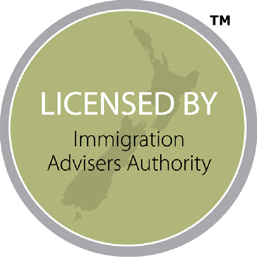 Parent – you have a child who is a New Zealand citizen or resident. If you are the partner of a New Zealand citizen or resident and you would like to join your partner, you will need to apply for residence in New Zealand. Your partner must support your application for you to qualify. If you are a dependent child (aged up to 24 years) and wish to move to New Zealand to live with your parent(s), then you will need to apply for residence in New Zealand. Your parent or parents must be either New Zealand citizens or residents and be living in New Zealand. If you are the parent(s) of a New Zealand citizen or resident and your child has been living in New Zealand for at least three years, then you may be eligible to join them in New Zealand under the Parent Category. Previously, parents could only immigrate to New Zealand based on the ‘centre of gravity’ principle i.e. having an equal number of children (or more) living in New Zealand than in any other country. This rule no longer applies. Your eligibility is now based on economic principles and you may qualify for residence on the basis of having only one child resident in New Zealand. Parents wanting to apply for residence in New Zealand will first need to submit an Expression of Interest (EOI), which we will complete and lodge on your behalf and then wait for you to be invited to apply. Once an invitation to apply has been issued, only then can you lodge a residence application. How are the Parent Category EOIs prioritised? The Parent Category is a two tier scheme where parents may submit an EOI under either tier one or tier two of the category. Tier one has the highest priority and tier two EOIs and applications are processed only after tier one. How long will it take to be issued an invitation? Demand for the Parent Category residence places currently exceeds the number of places available. A queue is used to manage the Parent Category EOIs because it is a capped category. There are currently 11,000 places allocated between July 2014 and June 2016 under the New Zealand Government Residence Programme. The time taken to allocate an EOI/application for processing varies depending on which tier you submit your EOI under. The queue of tier one EOI’s is currently estimated to be up to twelve months. The queue of tier two EOI’s is estimated to be up to seven years. This is the approximate length of time it could take for your EOI to be selected from the Pool. These timeframes could change depending on how many tier one EOIs are received. A draw takes place every three months. The number of places available in the draw depends on the number of places available under the New Zealand Residence Programme. Once allocated, the average processing timeframe is four to six months, but this may be longer depending on issues that have to be assessed, such as health. Please note that the times given for allocation and decision are indicative only and are subject to change. Tier one of the Parent Category allows people who are parents of New Zealand residents or citizens, and who have access to sufficient funds, to apply for residence in New Zealand. Applicants under tier one must meet one of the following criteria. To meet the minimum income requirements your sponsor or their partner must earn a minimum of NZ$65,000 per annum. Alternatively, your sponsor and their partner can earn a combined income of NZ$90,000 per annum. To meet the minimum income requirements, applicants must have a guaranteed lifetime minimum income of at least NZ$27,319 per annum. If a partner is also included in the application, the applicants jointly must have a guaranteed lifetime minimum income of at least NZ$40,084 per annum. Guaranteed lifetime minimum income is defined as an annual income that is paid to a person indefinitely. Income can only be considered ‘indefinite’ if it will continue to be paid once someone becomes a New Zealand resident and citizen. To meet the minimum income requirements applicants must bring at least NZ$500,000 to New Zealand, demonstrate ownership of those funds and assets, and demonstrate that the funds and assets have been earned or acquired legally and be are unencumbered. If you meet any one of the above criteria, please contact us to advise you how we can lodge a successful parent category residence application on your behalf. For more information on obtaining a New Zealand work visa, contact us.